Once again Junelle has taken me way beyond my comfort zone. I'm still working on my owl blocks, but moved on to blooms. 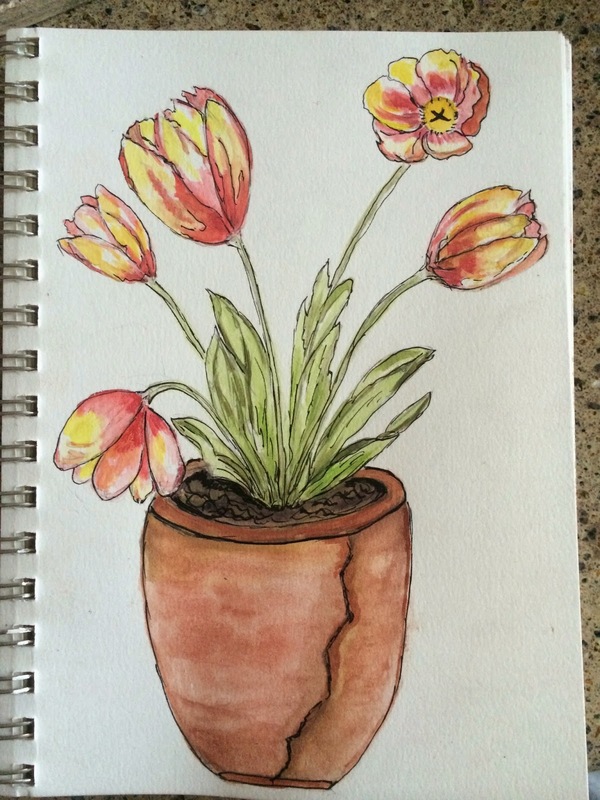 I, of course, started with my mixed media pad and painted some tulips. 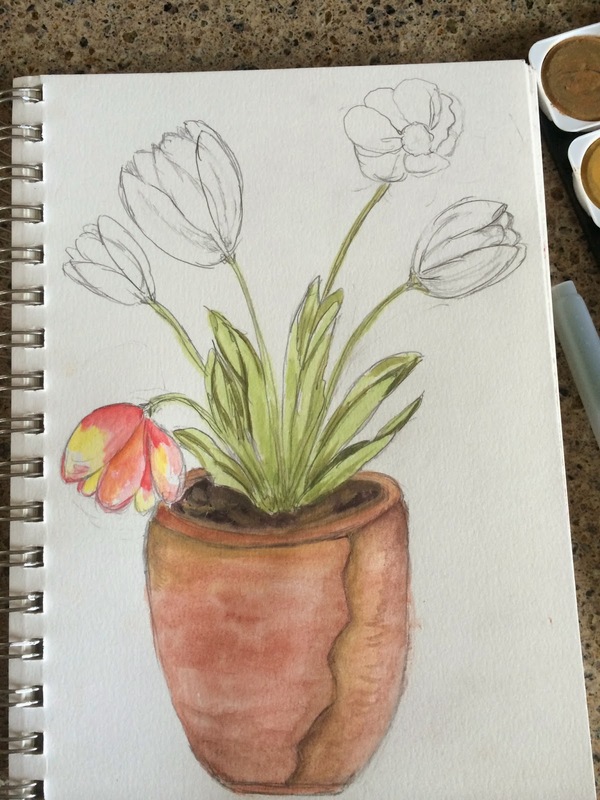 Back when my friend Emily was pushing and stretching me in my painting of flowers she requested a stone with tulips. I still have it - she didn't really like my rendition, but I think she would be very pleased with my growth. I took this next picture as I was working on the project and now looking back at it I really like the small amount of color, so think I may do another similar picture and stop at this point. 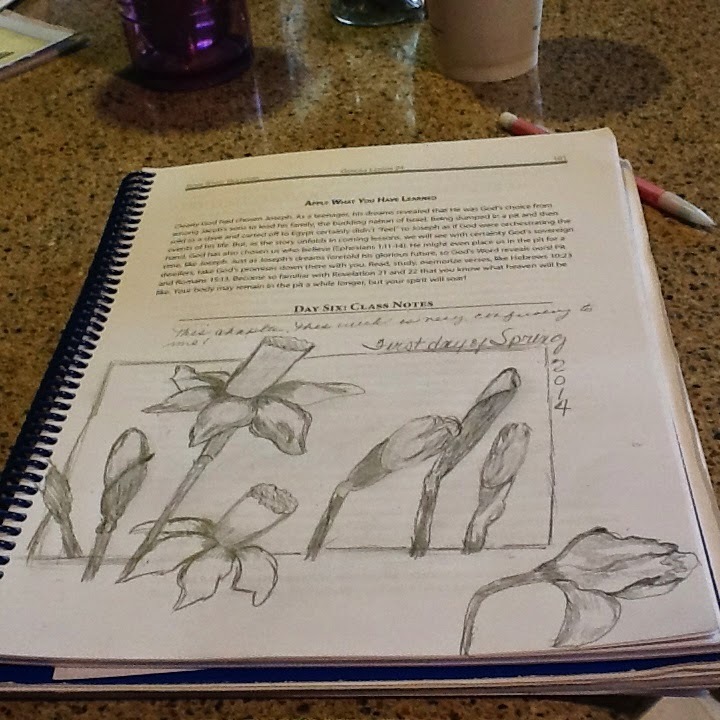 This is a pencil sketch in my Bible Study book - I still need to do it on a block or watercolor paper. I got the inspiration from an ad in a magazine. 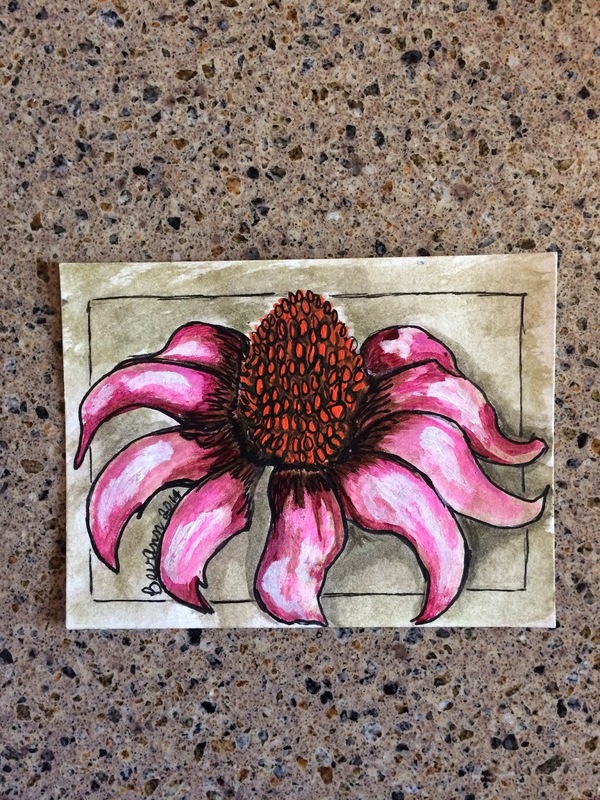 This is one of my favorite flowers and just a simple sketch on a 4x6 piece of WC paper. This quick WC still needs to be done on a wood block bot not for sure that will happen, but like it and it was very relaxing to do. This was a stone I painted in 2006 and it has been in my yard ever since. I brought it in and started over. Like most yard decorations it had faded and was a little beat up by the weed eater! This is the re-creation! Totally different, but I like it just the same and it will soon be back in the yard for good. They need to not get wet for about 48 hours after I finish them, so it's back in the house. Painting stones is my first love. It's how I started painting but yesterday and today I also worked on the pieces I first mentioned that took me out of my comfort zone! I got gooey with paint and Modge Podge. The "Saturday Morning" class I'm taking is about wooden blocks. They are tiny little canvases and lots of fun. You saw my owls in the last post, well, as I said the next section was blooms and I've avoided the blocks at all costs! I really don't like getting all yucky and sticky and I really thought the owl blocks would be the only time I did that piecing thing. I was quite satisfied to just paint and sketch every where except on blocks. I could just paint on them and that was my plan, but then so many people in the class posted such cute pictures and Junelle made it seem like so much fun to get gooey and sticky that I finally jumped in. This first picture is of the background I put on the blocks and it was done with my fingers! I have a picture of that but won't bore you! This second block is after I added the paper pieces to form my flowers - all added with the sticky Modge Podge! I peeled that stuff off for hours, but I got it done! 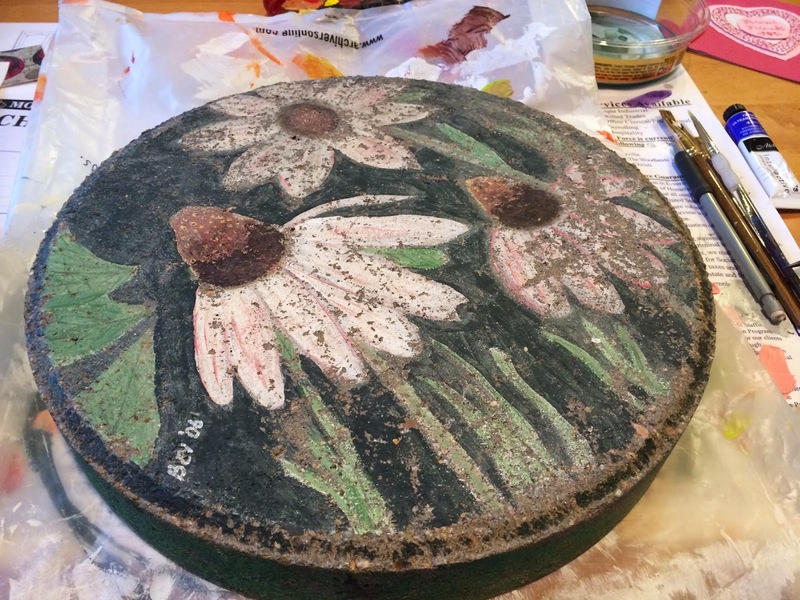 Today after all was dry, I got out my paints and painted the flowers and stems! The paper disappeared and my pretty 3D flowers appeared. I got so into this, that I added more leaves that stuck out from the surface. I will add some poems or quotes to the back and sides and I'll have my own little pollen free bouquet. Junelle, loves making all sorts of these little blocks for gifts! I really must confess I had a blast making these today, but don't know if it will become a "love to do kind of thing!" Maybe? We will see and we'll see if they suddenly spring up as gifts! Will post them again when I get the other sides complete! 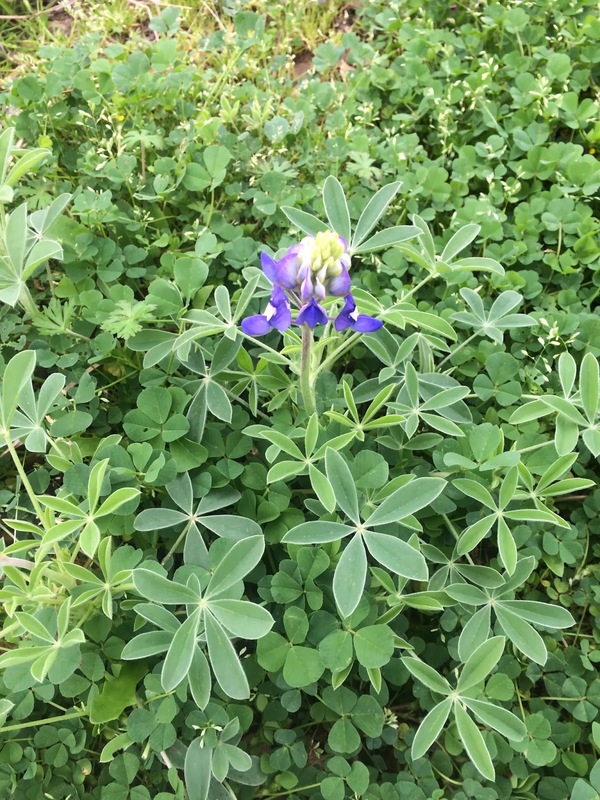 So I close out March with the blooms! Off to create some more! Those of you who follow me have heard me mention Junelle Jacobson many times. I just can't stop taking her classes and her latest is Saturday Mornings. Every other Saturday a new class comes live online and it's like having her drop in to your studio to paint with you. She is so amazing in her presentations. Such a sweet spirit! First sketch before the watercolor. So far I've worked on the owls, but am behind because she's already moved on to blooms and our next class is just around the corner. 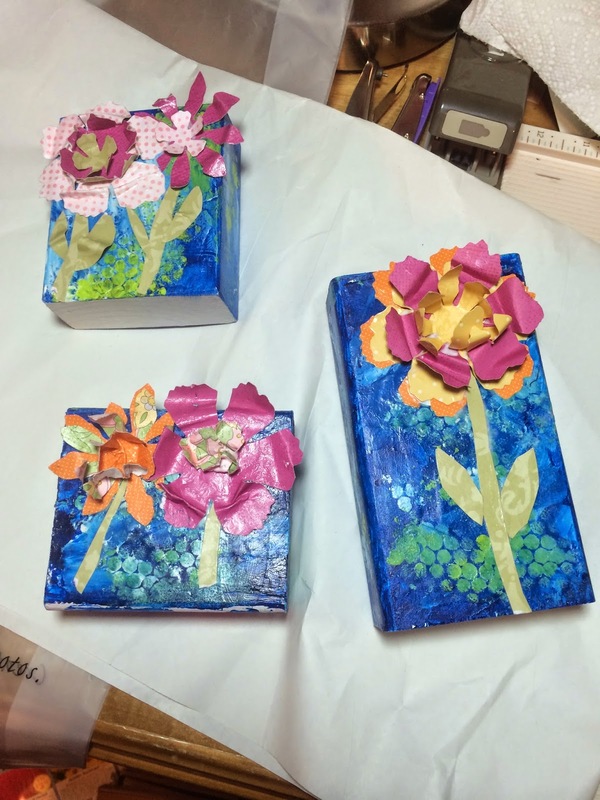 The idea behind this Spring class is to work on wooden blocks. 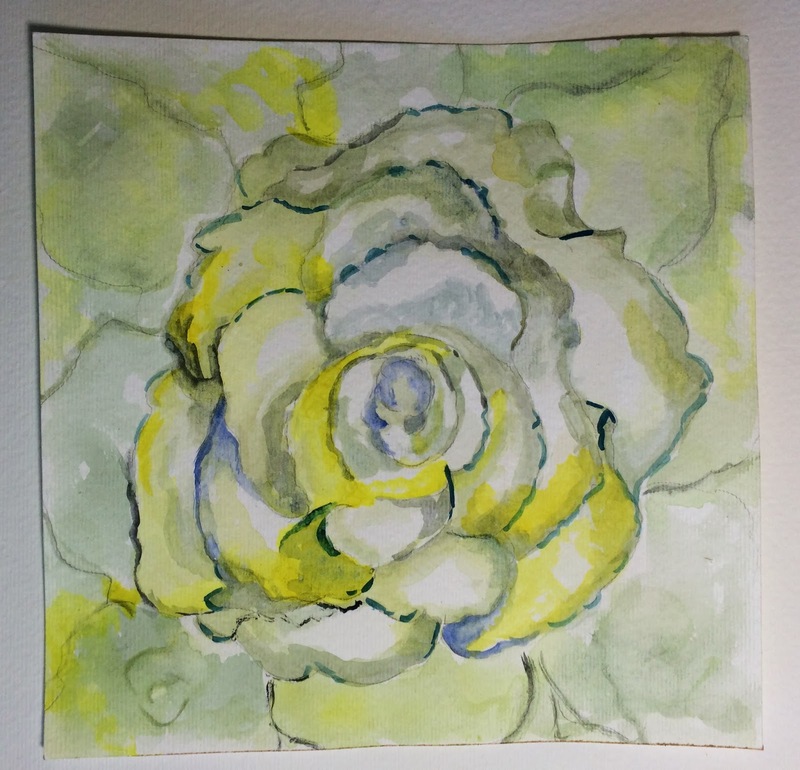 I still plan on painting this on wood; however this is watercolor in my journal. 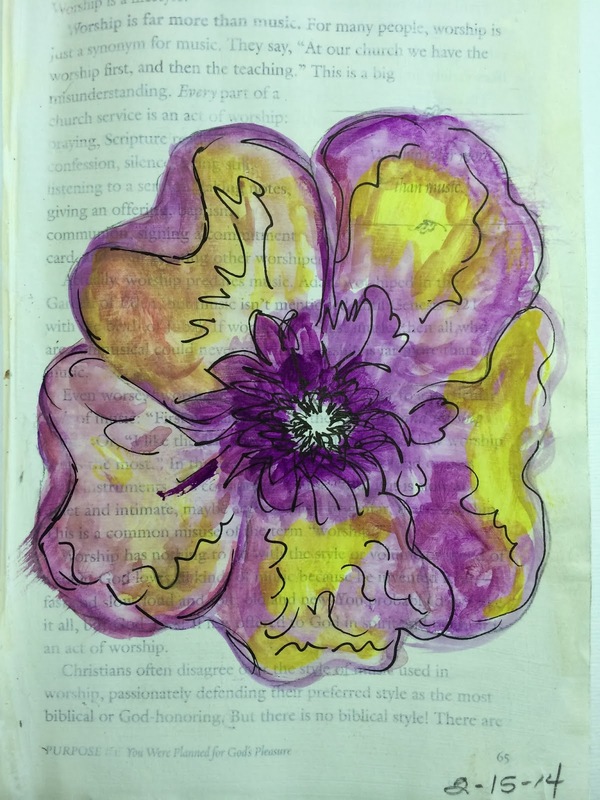 Watercolor in Mixed Media journal. 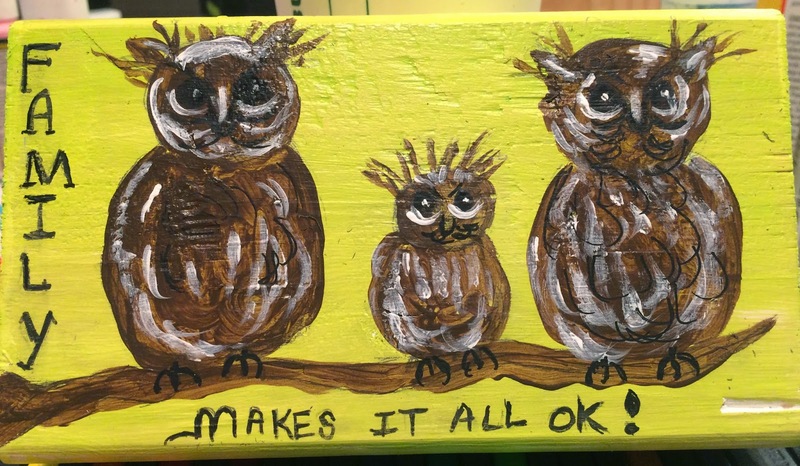 I've laughed about this one - should have said makes it "owl" ok! Probably will change it when I work on the rest of the block. First wooden block - still have only done this side, so more work ahead. This block is out of my comfort zone! We were to draw a sketch and then paper piece it. You know get all gooey and messy. Junelle makes it look like so much fun, but I sort of rebel at glue on my hands, but I tried and I hated how it turned out. 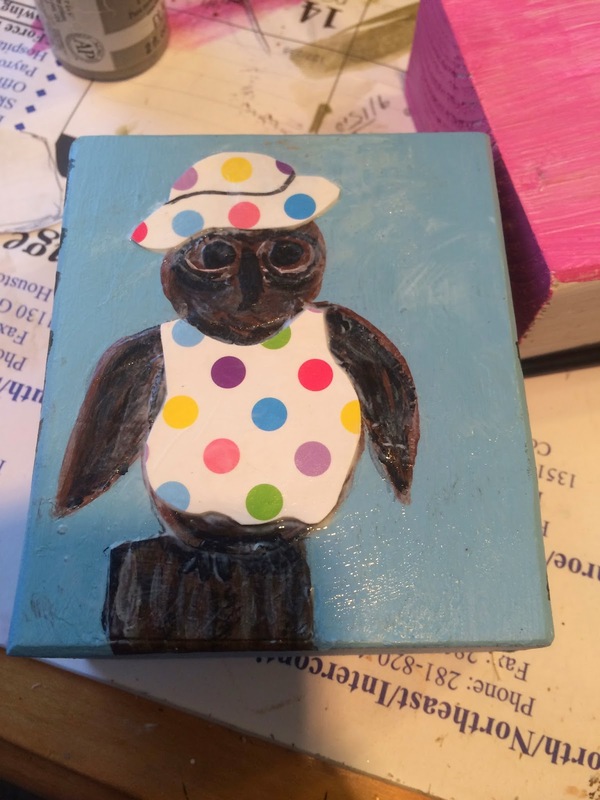 I scraped off what I had done and painted an owl and left it to dry. 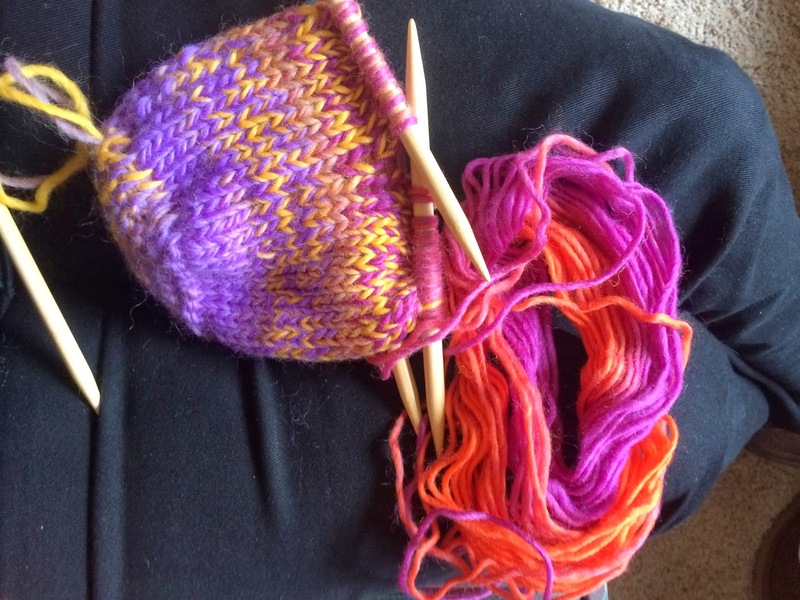 The next day I decided to try it again and made this adorable hat. Then I made a matching dress. It turned out to be fun - sticky fingers and all! I titled this "looking for love at the seashore". By the time I got to the back side I was really into this glue thing! 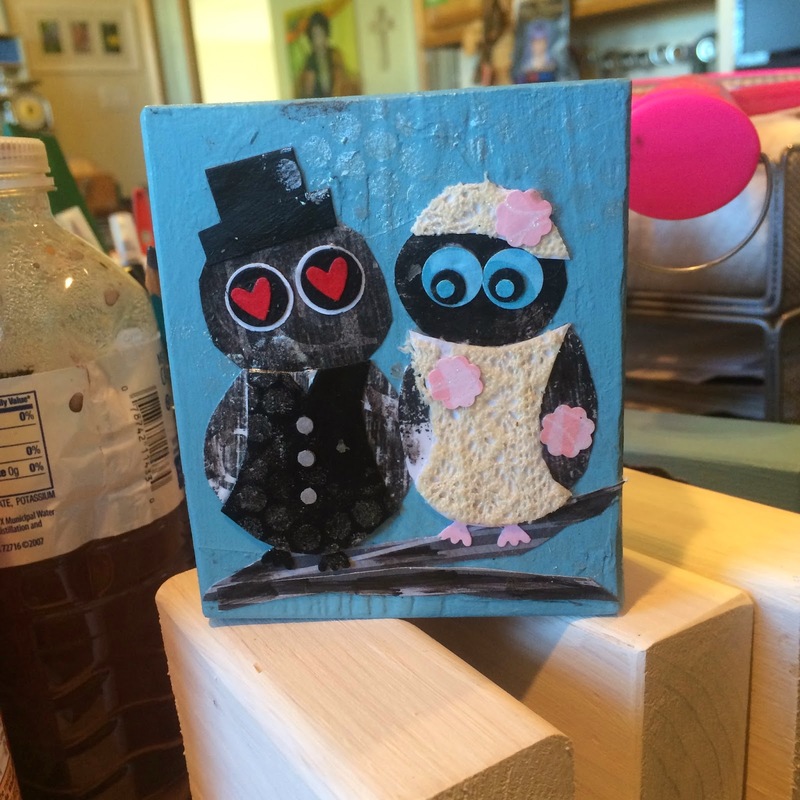 I cut out pieces to make the eyes, hat and tuxedo on the "groom" as she found love! For her I glued lace to paper and then cut out her dress and hat. Added some small flowers and called it done. 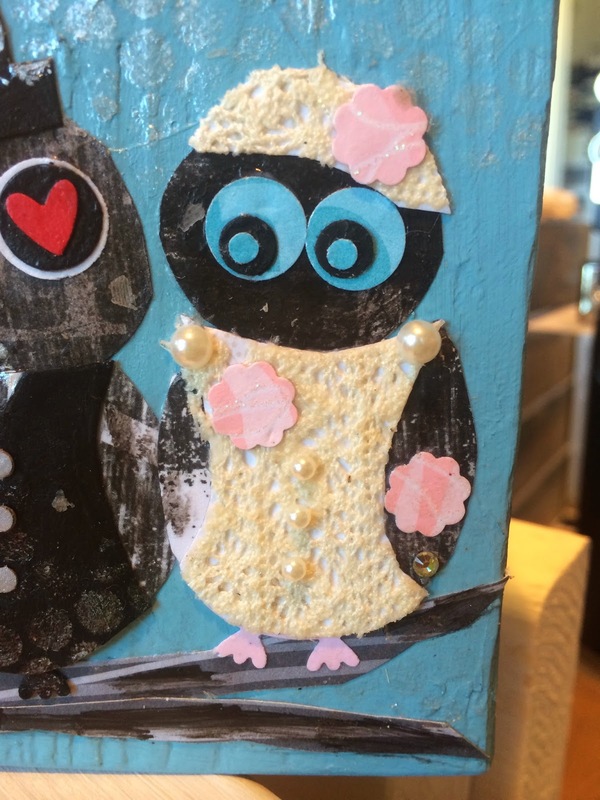 But she wasn't happy with her dress - so I added some pearls and a diamond to her left wing! She was happy and the sweet couple complete! Junelle (click here to find out about this class) makes everything so much fun and so tonight I'm going to work on my first bloom block. We'll see if I can get really messy tonight - lots of glue and paint and lots of fun! I've been having a sketching kind of week. 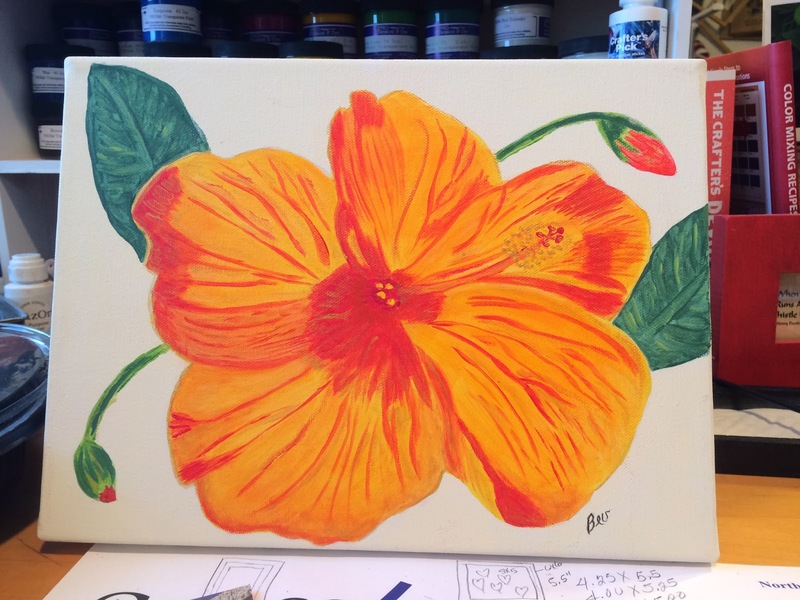 Last week I was spinning, but this week I've been back into my art classes a little more! I really love to sketch. I do it nearly every day and my "Studying Under the Master's Class is pushing me out of my comfort zone. Using the art of Henry Clive as inspiration, as taught by Christy Tomlinson I'm learning to refine those girls I so love to draw. More about the girls in another post. Yesterday was all about a girl I just couldn't quite get, so this morning I sat down with my "Quilting Arts" magazine that arrived last week and was flipping through it for inspiration for my morning sketch and I found an ad for a new DVD by Susan Brubaker Knapp called "It's all in the Finish". I love Susan's work and her classes. I have most of her DVD's and although I've never accomplished a stitched art quilt, it is in my list of things to do. Please be sure and go check out her website - you will be amazed at her talent. 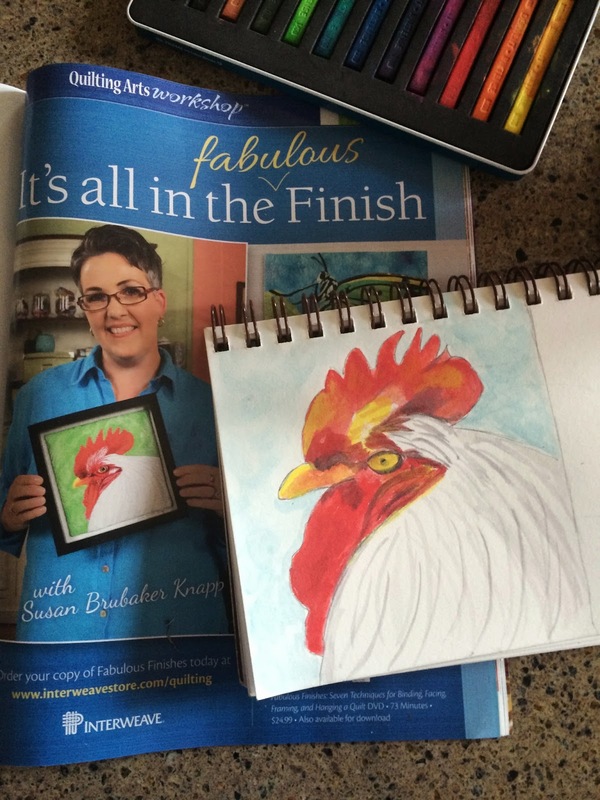 I took a mini class with Susan Brubaker Knapp at the Houston Quilt Festival last October and she showed us this rooster. Today when I found it in my Quilting Arts magazine I just wanted to try and sketch it. 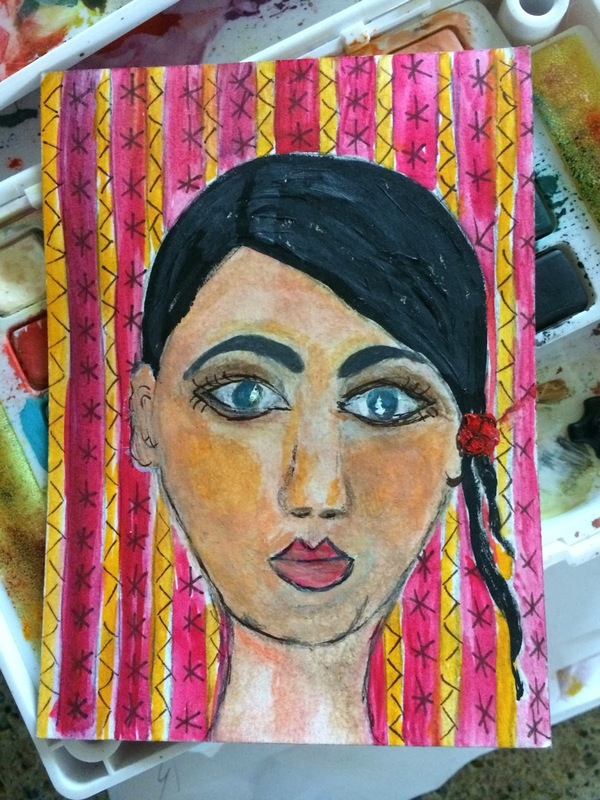 I know from the class that she painted and quilted the one she's holding from a photograph and I sketched and watercolored my copy this morning in my journal. Love Susan and her stitching and quilting and love this rooster. A fun way to start the day. Just looked and I haven't posted since January 30! Oh my goodness where has the time gone? My calendar tells me it's March 1, but I can't believe it. We're already beginning the third month of the year - how has that happened? 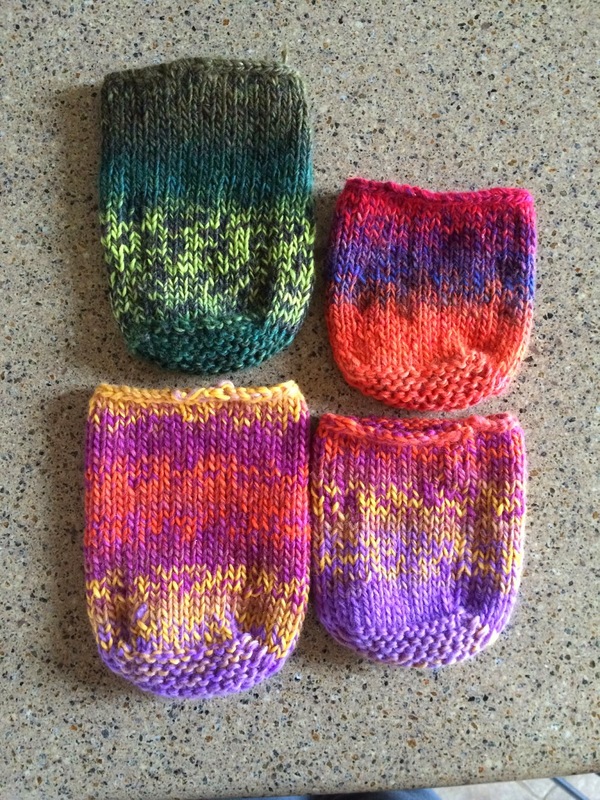 I've been trying to divide my time between the alpacas, painting, spinning and knitting. Of course, painting has taken the lead with my "Studying Under the Masters" class that began in the middle of January. So today I have lots to show and really not lots to say, except what a great month February was for creativity and the completion of projects - some started as far back as 2006! February was the first anniversary for the boys to be with us - We celebrated February 16 with two biggies -- Bill and I met 30 years ago and the boys moved in a year ago! Both changed my life! Studying under the art of the masters and our current teachers has taught me so much. Some of the class work I've done, but most of what I've learned I've applied to my own style of painting and drawing. I've relaxed in my willingness to paint and overpaint and layer and layer and not be afraid to try new things. I'm so thankful for all of the women who have worked so hard to provide us with the weekly lessons, especially Jeanne Oliver for putting the class together. 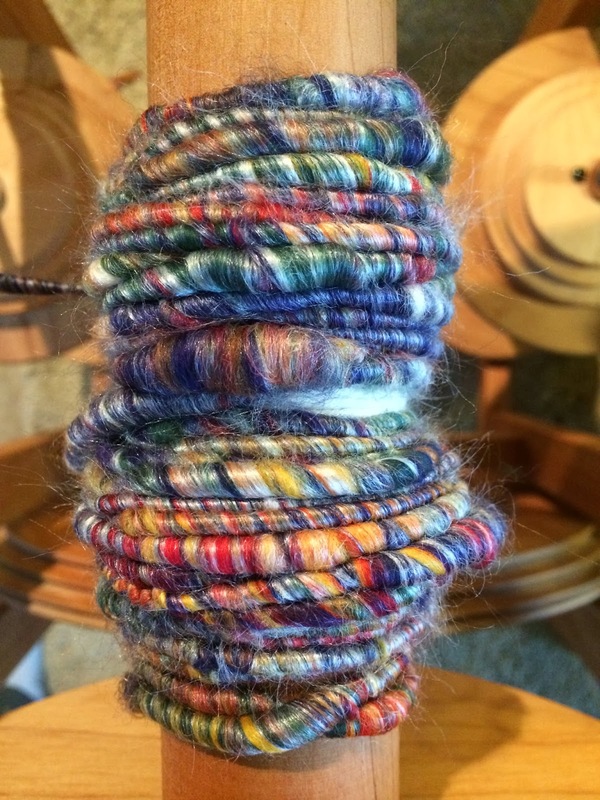 February began with core spinning this beautiful roving! A combo of Merino Wool and Tussah Silk Top - I did core spinning so that I could show all of the colors and not hide them inside the yarn. This beautiful roving came from WC Mercantile in Navasota. 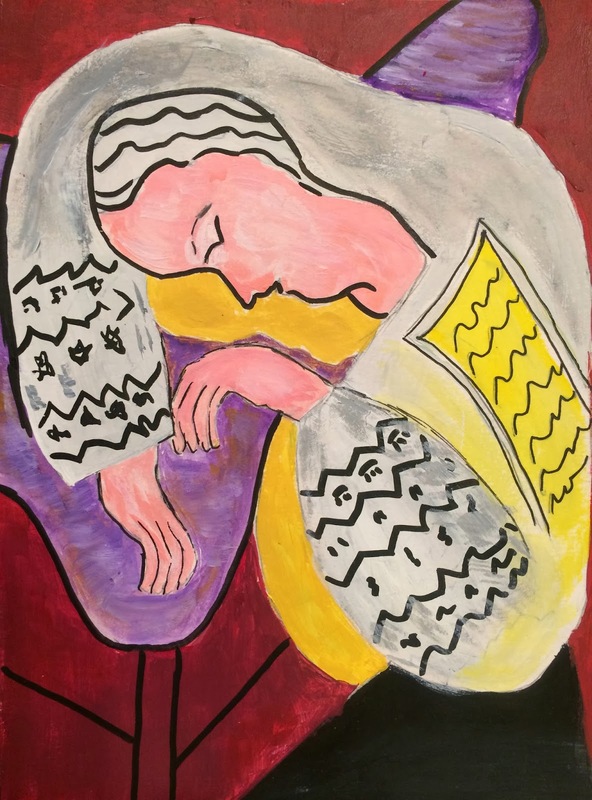 This was a sketch I finally painted and added the Matisse influenced background - I love my funny girls! The picture on the right was my copy of a Matisse painting. 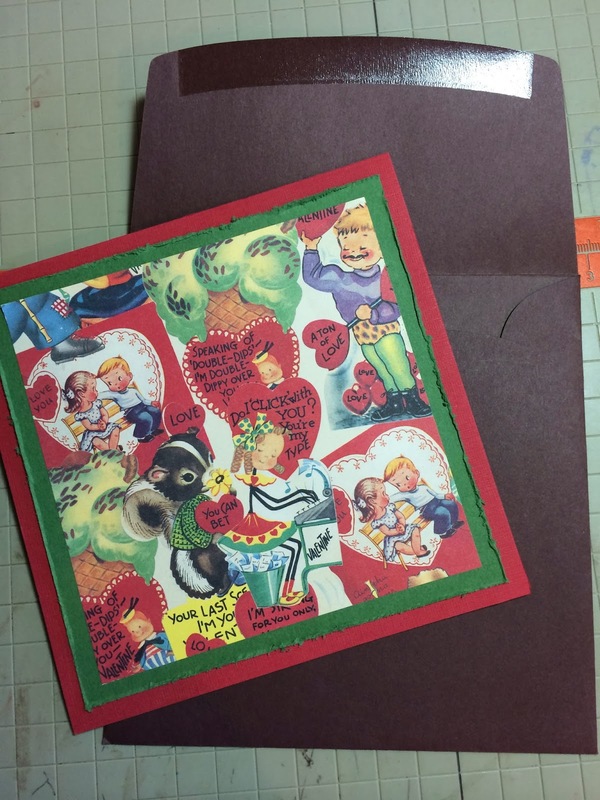 Valentine's Day took me back to making cards, something that has fallen by the wayside - but I had fun making these! I skipped over week two and three of the class and jumped into Botticello. Thankfully we have a full two years to complete the 9 weeks of classes. I will go back and do them all, but just felt it was right to jump ahead at this time. 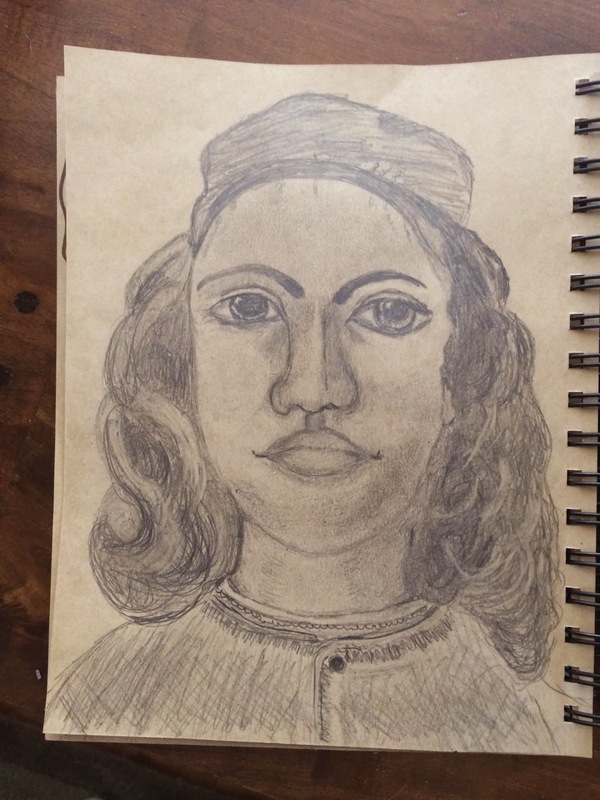 This was a copy of his "Young Assistant" in my sketch book. The second was the painting on a wood panel. 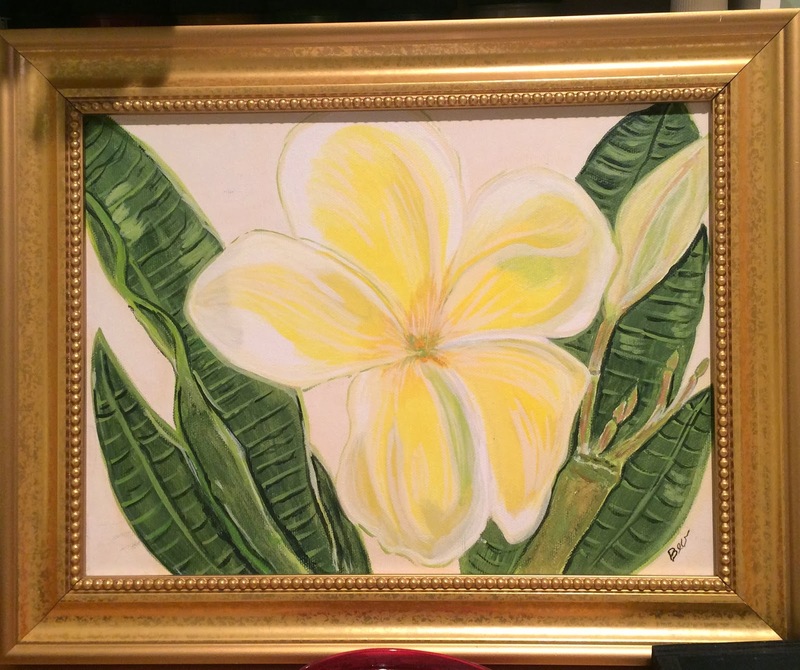 I had other Botticelli sketches and I kept jumping back to Matisse, but I moved on to the Georgia O'Keefe week. This was my interpretation of a rose that our teacher Danielle Donaldson did as a lesson. Followed by a watercolor in my old book journal. I love the way the words from the book show through just slightly. As I studied the masters and my teachers work, I found that I rush my paintings and that we can always go back and do more - rework so to speak. The first painting I did in 2006, the first year I started painting. I never added a background color - it was naked canvas! So I added the bright blue and then reworked the flower and leaves creating a much more pleasing piece. Next I just had to get back into some knitting and so I began two new bowls and finished one started weeks before. Finally finished then by giving them a scrub in the washing machine that felted them into the finished bowls. I went back to the studio and found this picture that had been painted in 2006 - again no background and it seemed very unfinished! I added a background and reworked the flower! Really no comparison! A dear friend finally came out to see me in the "far away" country and we made some fun cards and she brought me a beautiful hanging basket. 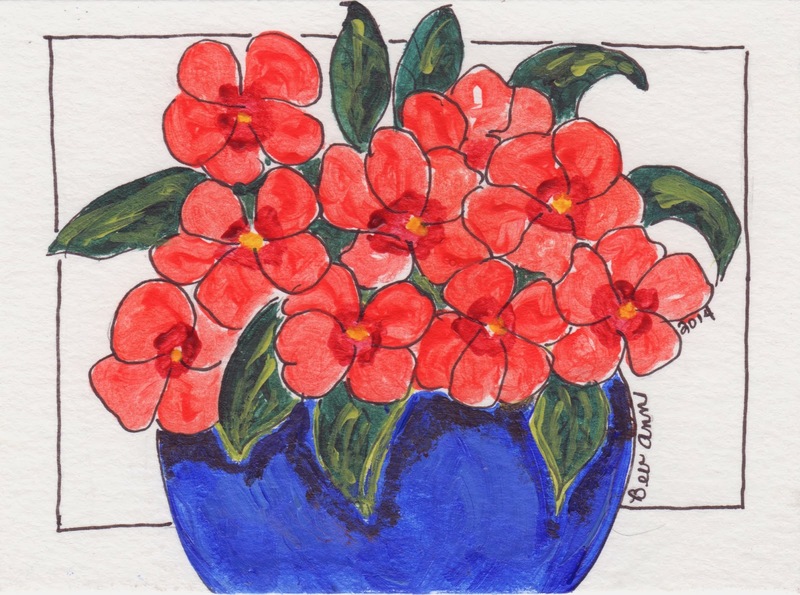 I was inspired to paint this little acrylic on WC paper. I scanned it and printed some note cards from it. Love little pieces! 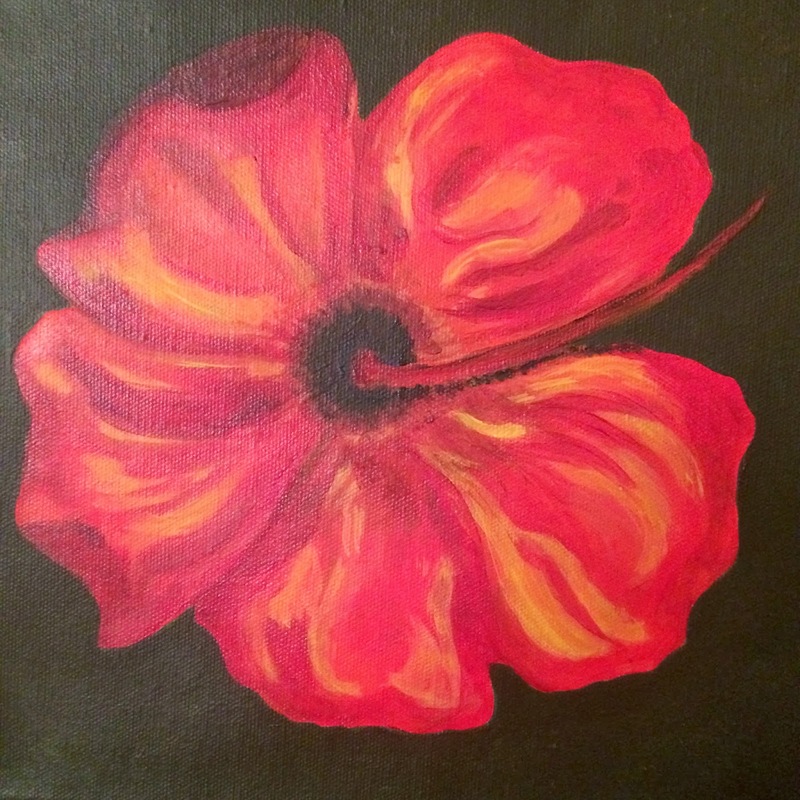 The reworking continued with this flower on canvas. 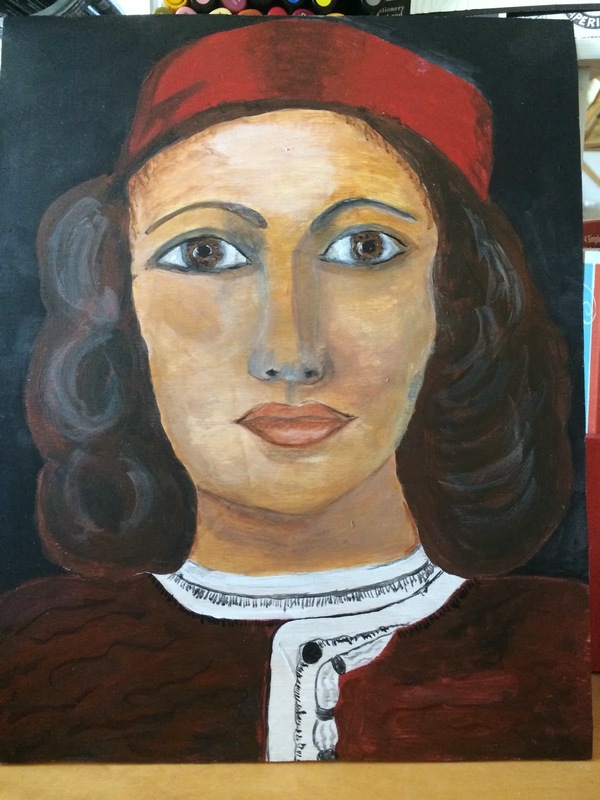 It was originally yellow and I don't even have a picture of that, then I painted it red, but never did any shading and it sat on a shelf for a year or more. I had the background green with some stamped leaves. I began to rework it and this is it - still not finished, but oh my what a difference. 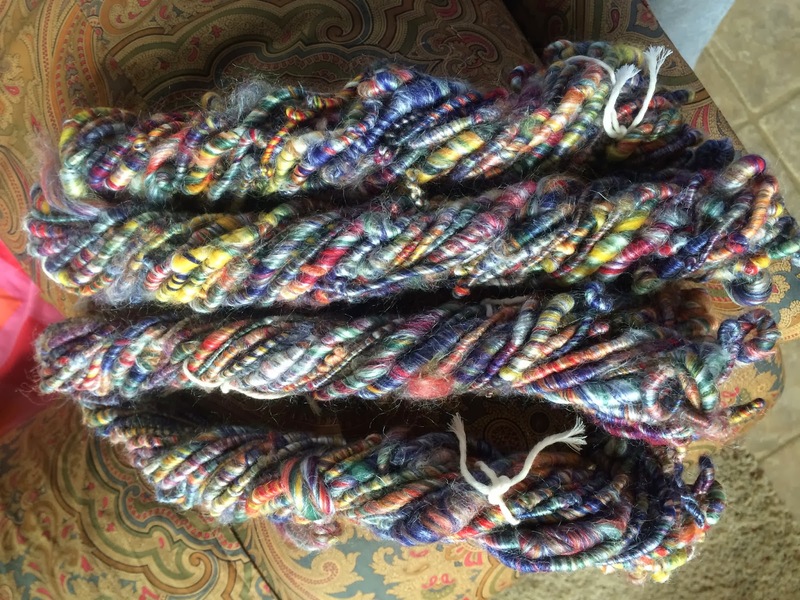 And yesterday, the last day of the month I spun the last of the colorful roving. Today when I took them both off of the spools they looked amazing alike and both were 30 feet. I wish the colors would show up better, but I am really happy with this yarn and can't wait to decide just how to use it.